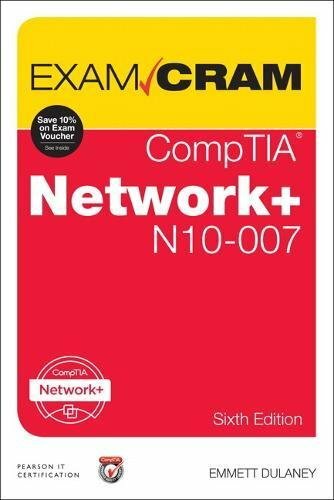 CompTIA® Network+ N10- 007 Exam Cram, Sixth Edition is the perfect study guide to help you pass CompTIA’s Network+ N10-007 exam. 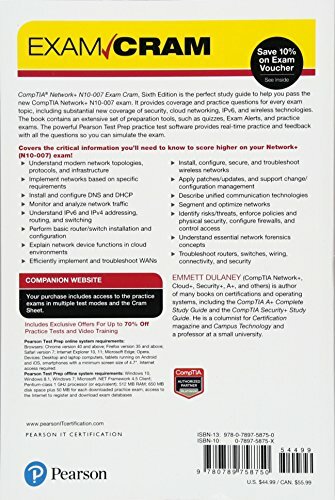 It provides coverage and practice questions for every exam topic, including substantial new coverage of security, cloud networking, IPv6, and wireless technologies. The book presents you with an organized test-preparation routine through the use of proven series elements and techniques. Exam topic lists make referencing easy. Exam Alerts, Sidebars, and Notes interspersed throughout the text keep you focused on what you need to know. 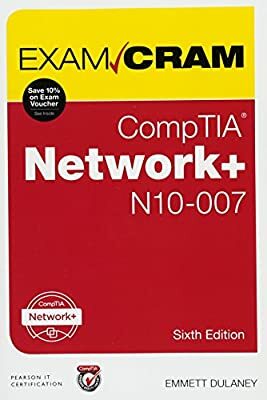 Cram Quizzes help you assess your knowledge, and the Cram Sheet tear card is the perfect last-minute review.